relaxing/low intensity. no experience needed. RESTORATIVE Yoga at SHINE is a safe, nurturing, meditative class to tap into your vital life force flow, gain awareness through optimal posture alignment, and awaken your spirit. various intensity levels. range of experience. low intensity. no experience needed. Vinyasa style yoga for all-levels. This class is a calming flow, beginning and ending with focused breathing and meditation, level of difficulty set by individual teacher. Poses are held for a set number of breathing cycles, allowing us to turn inward and relax into mindfulness. moderate intensity. some experience recommended. Vinyasa style yoga for students with some experience. This class will build strength, balance and flexibility as you link breathe to movement and flow through a sequence of poses including sun salutations. Teachers will offer options and modifications to challenge your practice. No experience needed, but good body awareness is helpful. high intensity. some yoga experience needed. Vinyasa style yoga for students with experience. This class will flow at a faster pace with students holding poses longer and exploring more advanced poses that are physically demanding. Classes are designed to push students towards more difficult poses and test stamina. Teachers will offer options and modifications to challenge your practice. Some experience is needed to fully benefit from this level class. low to moderate intensity. no experience needed. A slow flow style class dedicated to waking your body up right! We start off slow with focus on the breath, build some heat with vinyasa style sequences, and end class with shavasana (corpse) pose, to bring clarity and focus. A great way to start your day! moderate intensity. no experience needed. 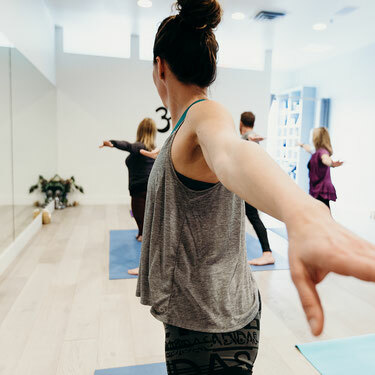 A moderate vinyasa flow style class connecting breathe to movement and flowing through postures while benefiting from the warmth in the studio to increase flexibility and focus. high intensity. some experience recommended. Power Shine Vinyasa explores advanced variations of traditional postures, inversions and arm balances. Class pace can vary from quick sequences to long, deep holds, and includes linking ujjayi/yogic breath to power sequences. All levels are welcome, but it is recommended yogis have some yoga experience, or have a consistent vinyasa practice. 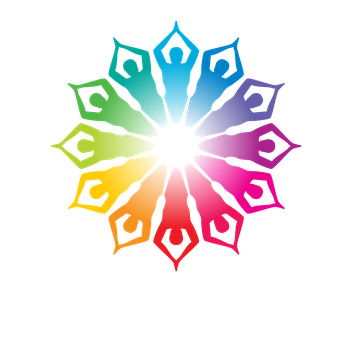 Shine Yoga Collective Logo and all materials are copyright protected.